On-the-spot admissions for all other programmes begin from July 09,2018 as per the admission schedule. Applications are to be submitted at the time of admission. i) Late admission 25.7.2018 to 13.8.2018 (allowed by the Principal of the College with late fee of Rs. 560 per student. ii) Late admission 14.8.2018 to 31.8.2018 (allowed by the Vice Chancellor, Panjab University, Chandigarh with late fee of Rs. 2040 per student. Counselling facility for the new students will be available, at the time of admission, within the campus between 9.00 am to 12.30 pm. Click here for admissions to above courses. Entrance Test for Admission to MA English Semester - I will be held on 30th June 2018 at 10.30 AM in Room No. 3, Arts Block. Entrance Test will be of 1 hour and is aimed at assessing the aspirants’ writing skills and their appreciation of literature. The applicants are required to register by 25th June, 2018 at : englishentrancetest@gmail.com in given format. List of successful candidates will be uploaded on the college website on 2nd July, 2018 at 3 AM. 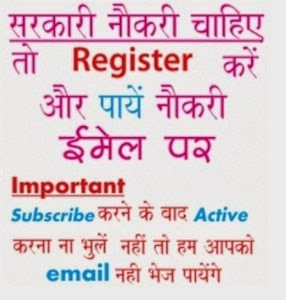 Click here for registration format. 1st Semester : BCom, BBA, BCA, BSc Medical, Non Medical, Computer Applications (Elective), Microbial and Food Technology, MCom. Admission forms for the following classes must be submitted by 4th July, 2018 . For all Postgraduate classes photocopies of detailed marks sheet of all the 6 Semester of the Graduate Degree are to be attached with Admission Form. Admission form for MA Semester I, MSc Semester I, BA Semester I, PGDCA & PGDMC are not available online. For admission to these courses hard copy of the prospectus should be purchased from the college or procured through Registered Post. The duly filled form of BA Semester I, PGDCA & PGDMC should be brought at the time of Admission on 9th July, 2018. Detail Marks Certificates of all the results mentioned in Academic Record Column. Passport size photograph; pasted on the admission form. Character certificate from the School / College last attended. for B Com-I Centralized Admission by the Panjab University. On-the-sport admissions for all other programs begin from June/ July 2018. The applications for these programmes are to be submitted at the time of interview for admission. MCM DAV College Recruitment 2017 News: Check MCM DAV College Recruitment 2017 Online incoming days till you can see old orders. Earlier MCM DAV College for Women Chandigarh is conducting interviews for Faculty Jobs on contractual basis. Interested candidates have to attend interview on 12 January 16 (now over........) and broadcast advertisement of MCM DAV College recruitment is published at mcmdavcw-chd.edu. More information of MCM DAV College Recruitment regarding qualifications, pay scale, interview schedule, venue, logo image etc is mentioned below………..